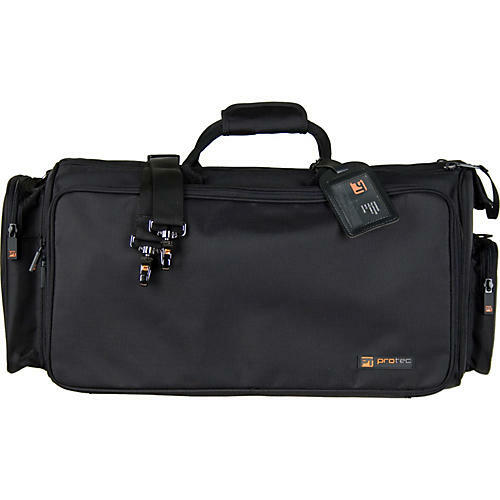 Rugged triple trumpet case holds 3 trumpets and mouthpieces. Deluxe features include roomy exterior pocket with organizer, zippered closures, and nickel-plated hardware. 1,000-denier nylon exterior. Soft cloth lining on the thickly padded interior. Reinforced bottom. Includes shoulder strap.